Alex Castellanos, a Republican strategist, is co-founder of Purple Strategies. Follow him on Twitter @alexcast. Washington is enthralled with lying. Deception is breaking news. The media and political establishment are fascinated by lies, as if they had never encountered them. Lies are a discovery in Washington, much like an alien life form, information that looks and sounds like the truth but never before seen by man. The establishment’s shock is understandable. These new lies are different from the ones with which Washington is familiar, the lies they have spent decades practicing. They have jolted Washington with their crudity. They are evident and unembarrassed. These deceits have been marched, bare of pretense, raw and muscular, to parade in the public sun, without apology or shame. These lies are being told by the President of the United States, the outsider who threatens the establishment’s culture of deception. Trump’s lies are unforgivable, Washington tells us: His lies might expose theirs. Donald Trump, the media reports, has told 4,229 lies in 558 days. It is a record, the media intends to say, as if Trump had broken their mark, reaching a milestone worthy of envy. Unfortunately for the President, his record hasn’t held up. In scope and scale, if not volume, Washington’s old standards of fabrication may still be safe. We have learned the news media embellished Trump’s exaggerations. Trump’s record of mendacity did not survive a modest fact check. Counted among his most repeated lies, for example, is the claim he passed the largest tax cut in history, which he did by dollars saved, though not as a percentage of the economy. That’s false enough for the Washington Post. Where but Washington would the news media lie about liars and their lying? It is no surprise that 66% of Americans report that their news sources cannot adequately separate fact from opinion and 77% say the news media reports fake news. Trump is a stranger to truth, of course. He is interested, not in what is true, but in what serves him. But this President was not sent to Washington to make the establishment honest. He was elected to destroy it, using their own weapons if required, subversion and deceit if necessary. And he is doing his job: In the latest Gallup survey, Trump’s job approval rating is 39%, the average for every President since Harry Truman at the same point, 539 days into their terms. Donald Trump did not create Washington’s culture of dishonesty, nor will it end with him. Politics devolved into performance-art long before he arrived. Decades ago, Washington’s big, top-down political, artificial programs stopped working. Inevitably, fraud followed: When government can’t produce what it promises, deceit is its last defense. Congress commands taxpayers to fund a vast and growing government, perhaps the largest institution man, extending his limitless imagination, has ever fashioned. What does it produce for us? Commonly, the opposite of what it pledged. The VA? Veterans who offered their country their last full measure of devotion are still waiting 64 days for medical appointments. And this is not the worst Washington can do: Our old, factory-like VA is trying. The federal, state, and local government’s war on crime, drugs, and poverty is also going well. Just look at Chicago, where there was a “sharp drop in weekend violence.” Fewer than 40 people were shot. And our economy? President Trump’s largest accomplishments are not the new programs he’s created, but the old government he has undone: Lowering tax rates and erasing regulations has opened our economy to the future, put 156 million Americans to work, and produced 4.1% growth. With less help from Washington, jobs, like cherry blossoms, are blossoming again. Still, the establishment’s self-regarding elites cannot abandon their highest view of themselves. They are the answer to all our problems. How can they count on the little people to build a better culture, society, and economy? From their high perch, they, and only they, must command it. Lights, news media, action: Another top-down, artificial, political solution rolls down the establishment’s assembly line. This program, Washington promises, will work better than the last. Only their legislative wish-making can make our problems fade. Adapting Churchill, legislative wish-making is a lie, wrapped in a hoax, inside a deception. It lies at the core of Washington’s culture of dishonesty. Like many frauds, it is seductive: It promises easy riches. What would each of us have to do if we stopped pretending that the work of the nation was in our own and not Washington’s hands? The American people know Donald Trump tells lies. They believe the government he was sent to disrupt lives them. The establishment’s culture of deception will not make Washington’s biggest adversary, Donald Trump, look like an honest man. Many of his supporters would tell you, however, it makes him the change honesty demands. 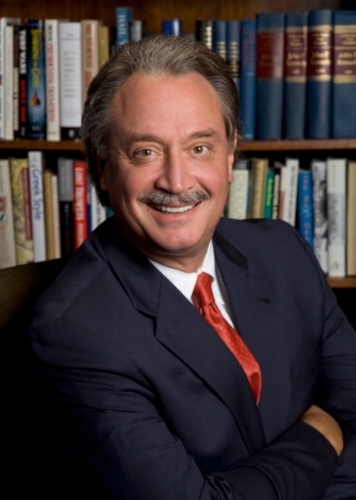 Alex Castellanos is one of the Republican Party's best-known and most successful media-consultants and strategists. He co-founded Purple Strategies, a bipartisan strategic communications firm. He serves as political analyst for ABC News, ABC News Radio, and This Week with George Stephanopoulos. GQ Magazine has named him one of the 50 Most Influential People in D.C. He's been a Fellow at the Institute of Politics at the Kennedy School of Government at Harvard University. He has been credited with the discovery of the political “soccer-mom” and called “father of the attack ad.” He is a native of Havana, Cuba, which his parents fled in 1961 with one suitcase, eleven dollars, and two children. Follow him on Twitter @alexcast.